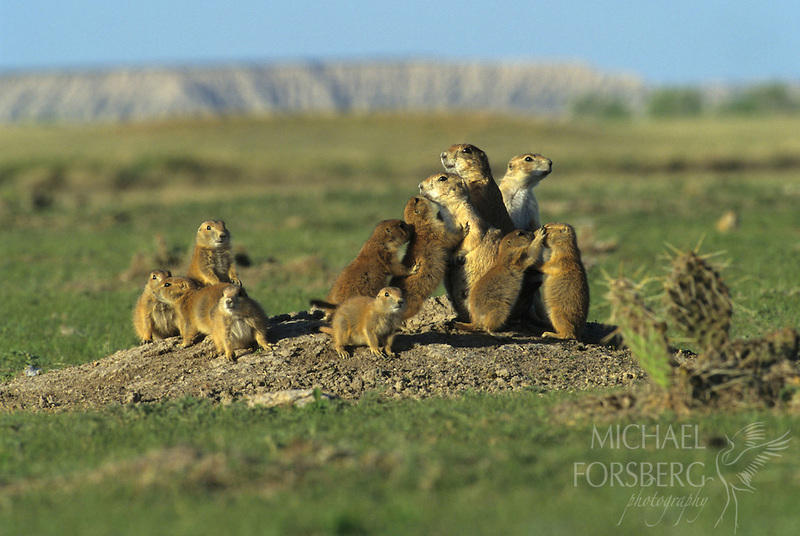 Highly social, black-tailed prairie dogs greet each other with kisses and grooming. They transform the prairie landscape with their towns, creating a tunnel system that aerates, fertilizes, and allows water to infiltrate the soil and provides habitat and food sources for over a hundred other vertebrate species. Viewed as a competitor with livestock on rangeland, prairie dog populations have been reduced by over 90 percent in the past century. Buffalo Gap National Grassland, South Dakota.